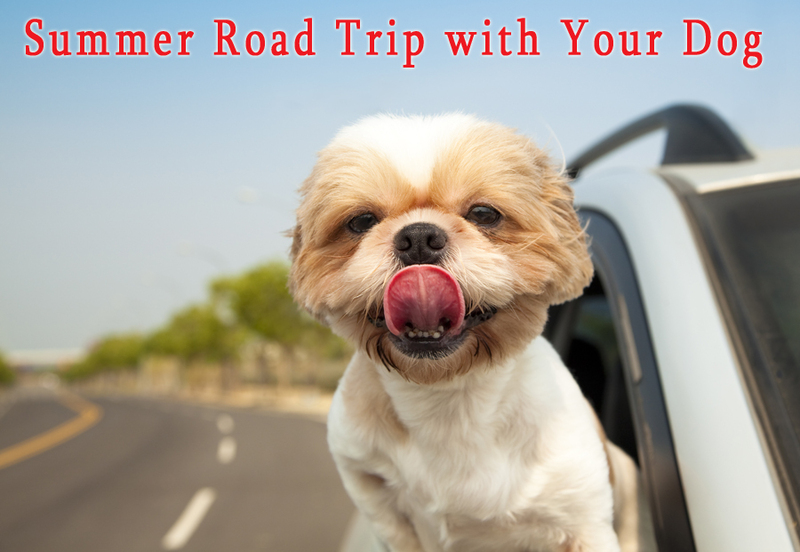 Boooow…Wooooowwww…summertime….It’s time when most of the families set on road trips with their four-legged companions. If you are one of them and planning to take your canine friend with you, then there are lot of things to consider. A long journey along the road for your pet may be tiresome and exhaustive but you can change it into most enthralling and exhilarating by taking care of the basic needs of your lovable partner. If you are earnestly planning for a trip in coming days, follow some of the principle strategic steps that help you enjoy a road trip with your dog. During journey in car, provide ample of space for your doggy to sit, stand up and lay down. Never dump your lovable partner at that backseat like a luggage with no space to turn around. It makes him feel uncomfortable resulting in restlessness or nausea sensation on long journeys. Rather, devise a comfortable zone cushioning him with pillows and blankets. Keep your car temperature normal without any loud music to irritate your four-legged partner. Make sure to adjust the temperature according to outside weather conditions. If it is too dry out, turn on the humidifier to create cozy environment for your dog. When on long journeys, dogs usually need many chances to stop, relieve and stress out themselves. Take a halt at every two to three hours, as this will help your pet break free from the stress of travel and move around in open space. Some states are dog friendly and provide pet rest centers offering fenced space for dogs to run and relax. Along the Turnpike of the states Colorado, Delaware, Massachusetts, Santa Barbara, Texas and Tennessee, there are dog-friendly rest places and upscale hotels, where you can relax with your Fido to have some me time out from that confined area of your car. When visiting some unknown places, do a good research about the place and potential dangers your pet could encounter. Numerous rest places located in the southwest and some falling in the land scale of south has wild mustard burdocks, bristly foxtails and stick tights. Playing on the grassy area, if your dog comes running with his paw hanging up, immediately take him on the porch. Check for any plant substance stuck in between the toes or onto the paw. Some pet-friendly areas do place warning hoardings about common dangerous plants and animals. Dog-friendly rest stops offer cool drinking water for animals. Some of them also have ‘fire hydrant’ for dogs to refresh. Make your dog drink plenty of water to avoid the conditions of dehydration on a long journey. Don’t forget to refill your dog’s water jug, this helps to supply your furry friend with water when needed. Keep your dog on leash when you and your family are outside in the open areas or at rest houses. Normally, an obedient pal at home would feel irresistible to chase behind a squirrel or run away to smooch on fresh grass after being in a confined boundary for long. Concisely, following these steps, you can have a wonderful road trip with your furry companion to cherish for long. Have you ever applied any of these tips for road trip with your dog? Do share with us. « How Does Cosequin DS Work for Your Dogs Joint Problems?